my business over many years. Since joining the Williamstown Chamber of Commerce in 2004 my pursuit of teaching yoga full time has been realized. In those days, I counted on the chamber to provide me with group health insurance for small businesses people. Today I engage with the chamber for networking opportunities, community events and marketing opportunities. 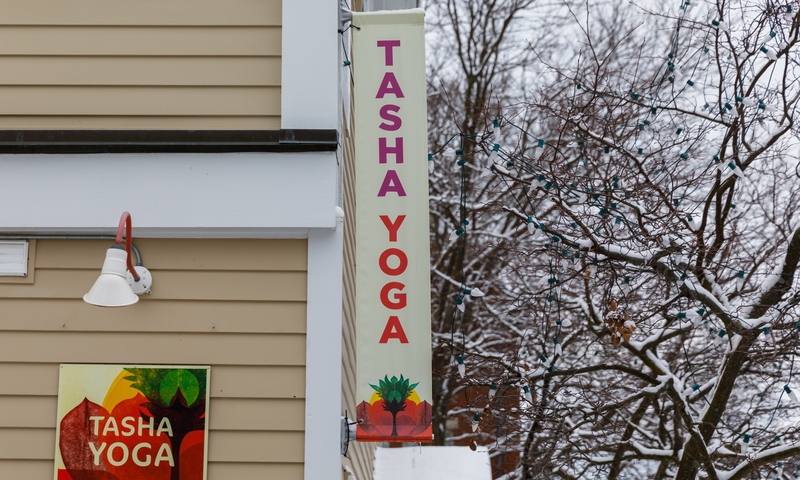 More recently and after several years teaching yoga classes in various locations, renting space by the hour, we began to outgrow our existing yoga studio location. With the help of the chamber we settled into a new location on Spring Street in Williamstown. The beautiful old building with its beams, hard wood floors, and courtyards on either end, plus the fabulous location in the heart of the cultural district, meant we could reach more people and serve them better. We now have a growing program of alignment oriented yoga classes for the whole community and for people of all ages. Additionally, the chamber website has been an important way to keep people informed about our local alignment-oriented yoga offerings. I use the website for visiting students, yoga teacher training and master teacher workshops. Also, over the years I have been able to participate in many chamber related events including the Holiday Walk and Summer Sundays. It has been fascinating for me to consider the varied ways the Chamber has supported my business over many years. Without the Chamber we would not have found this new space and now we have an exciting opportunity to make a greater contribution to the vitality and skillful joy of embodiment in our community through conscious movement.